After your previous failed attempt of escaping the prison you’ve been put in isolation for two weeks. The old warden has been replaced by a new one. 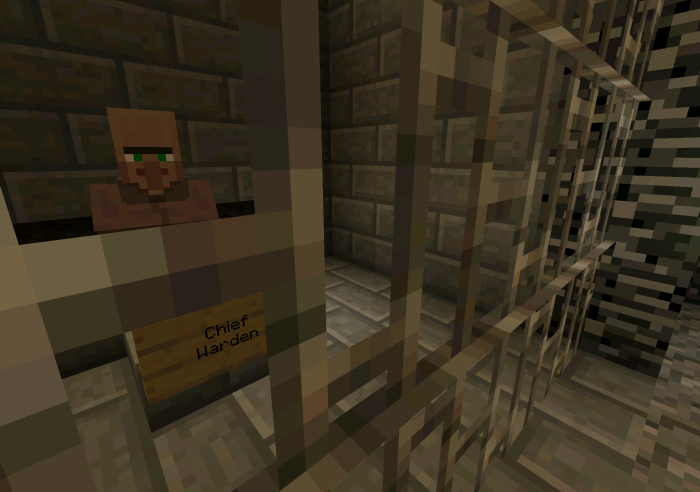 Apparently he got a new use for you inside the prison as a test subject. The adventures which lay ahead might cause you to think that isolation probably was a whole lot safer than going through all this. In the map you will be put on a test through a series of the different experiments. It makes for a varying adventure with lots of different minigames to experience. For two weeks you’ve been stuck in an isolation cell. A key twists in the keyhole and the door opens. Light lands on your face but a shadow quickly overtakes it. The first face you see isn’t exactly pretty. It’s the new chief warden. Chief Warden: “How’s the cell mr Smith? You getting comfy in there yet?”. You can’t help but grin when you look up at the enormously fat warden. Not because he looks funny, but the feeling of seeing a face after such a long time is incredible. So whether it’s an ugly face or not, doesn’t matter. You push yourself up against the wall, stumbling out of the cell.